Get on the road today with an auto loan from UKRFCU. We can help you navigate your way to financing your new car at a rate that fits you best. Buying a car can become stressful, and we at UKRFCU, can help you navigate your way to financing your new car at a rate that fits you best. Get on the road faster with a new auto loan from UKRFCU today. Lending options available for: passenger cars, passenger vans, box trucks, straight trucks, delivery vans, cargo vans, hearse, and limousines. *APR = Annual Percentage Rate. Annual Percentage Rate is the advertised rate and can vary based on creditworthiness, age of vehicle and terms of the loan. Your rate can be higher depending on credit performance. Financing up to the retail value of the auto is available. Rate is subject to change without notice. Other conditions may apply. UKRFCU offers auto loans for new and used cars. All rates are subject to change without notice. In order to apply for a Car Loan, you must be a member of UKRFCU. Visit our Membership page to learn more about our eligibility requirements. Get on the road today! 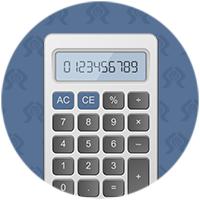 Use our Auto Calculators to see what would work best for you. When will I receive the title once I pay off my auto loan? You will receive your title within 30 days of paying off your loan. For any auto title questions, please contact orestd@ukrfcu.com. In many cases, your loan may be approved and funded the same day. We understand that sometimes the vehicle-buying process is urgent. Our loan specialists will answer any questions that you may have. Is there a penalty for paying off my auto loan quicker than the assigned payment schedule? Are there any fees associated with obtaining an auto loan? No, you only need to have an account in good standing.